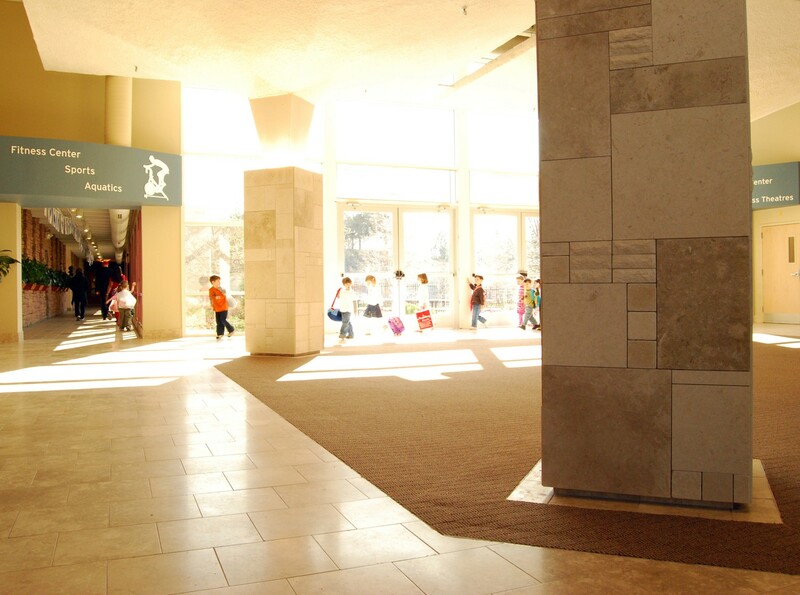 Studiotrope was hired to update and improve the existing Jewish Community Center upper lobby. After becoming intimately familiar with the JCC Mission and completing a series of observations and case studies it was obvious the existing lobby was considerably under-utilized and presented an incomplete image to it’s members, visitors, and staff. By simplifying and restoring order to the spatial geometry of the lobby it transformed from feeling like a left-over space to acting as an anchor destination. Rather than being confused upon entry patrons are now uplifted and have a sense of orientation.